Füri, E., Zimmermann, L., Saal, A.E. (2018) Apollo 15 green glass He-Ne-Ar signatures – In search for indigenous lunar noble gases. Geochem. Persp. Let. 8, 1–5. European Research Council (ERC) starting grant 715028 (acronym: "VOLATILIS"). Identifying indigenous lunar noble gases in samples returned by the Apollo and Luna missions is highly challenging because contributions from the solar wind (SW) and/or cosmogenic nuclides have modified the noble gas signature of the regolith and rocks exposed to space at the lunar surface. Here we re-investigate the possible presence of indigenous noble gases in pyroclastic Apollo 15426 green glasses based on precise measurements of He-Ne-Ar isotopic compositions and abundances. The noble gas content of single glass beads varies by two orders of magnitude, indicating that they experienced highly variable irradiation histories as a result of intense regolith stirring by impact gardening. Four out of the twelve spherules stand out by having the highest He-Ne-Ar abundances and by releasing an isotopically 'solar-like' noble gas component at high temperatures. While a contribution from indigenous noble gases cannot be ruled out, the data are best accounted for by inward diffusion of, and equilibration with, SW-derived volatiles during prolonged space exposure. Figure 1 Total 21Ne abundances of twelve single 15426 green glass beads. The uncertainty of 8 to 15 % is controlled by the precision in determining the sample mass. The 21Ne concentration range reported by Lakatos et al. (1973) for five grain size fractions and two large single spherules is indicated for comparison. Figure 2 (a) Three-isotope plot of neon, (b) 20Ne/22Ne versus 36Ar/38Ar, (c) 36Ar/22Ne versus 21Ne/22Ne, and (d) 36Ar/22Ne versus the inverse of the 22Ne concentration measured in 15426 green glasses. Step-heating data for single glass beads from this study are shown together with results obtained by single-step heating of different grain size fractions and two large single spherules (Lakatos et al., 1973) and by laser ablation of individual spherules (Megrue, 1973). The neon and argon isotope compositions of the cosmogenic endmember (Cosm), modern solar wind (SW; Heber et al., 2009), and the meteoritic components A and Q (Ott, 2014) are shown for comparison. Error bars for the results from this study represent 1σ uncertainties and are, in some cases, smaller than symbol sizes. Table 1 Abundances of cosmogenic 21Ne and 38Ar and corresponding cosmic ray exposure ages of twelve single 15426 green glass beads. Figure 3 Cosmic ray exposure ages derived from the 21Necosm (T21) and 38Arcosm (T38) concentrations. Data for the four He-Ne-Ar-rich 15426 glass beads (open diamonds) and eight other spherules (filled diamonds) are shown together with the CRE ages determined previously (grey rectangle; Huneke et al., 1973; Lakatos et al., 1973; Megrue, 1973; Spangler et al., 1984). Saal, A.E., Hauri, E.H., Lo Cascio, M., Van Orman, J.A., Rutherford, M.C., Cooper, R.F. (2008) Volatile content of lunar volcanic glasses and the presence of water in the Moon’s interior. Nature 454, 192–195. Sharp, Z.D., Shearer, C.K., McKeegan, K.D., Barnes, J.D., Wang, Y.Q. (2010). The chlorine isotope composition of the moon and implications for an anhydrous mantle. Science 329, 1050–1053. Wetzel, D.T., Hauri, E.H., Saal, A.E., Rutherford, M.J. (2015) Carbon content and degassing history of the lunar volcanic glasses. Nature Geoscience 8, 755–758. Hauri, E.H., Saal, A.E., Rutherford, M.J., Van Orman, J.A. (2015) Water in the Moon’s interior: Truth and consequences. Earth and Planetary Science Letters 409, 252–264. Barnes, J.J., Kring, D.A., Tartèse, R., Franchi, I.A., Anand, M., Russell, S.S. (2016) An asteroidal origin for water in the Moon. Nature Communications 7, 11684. ), these findings raise the question of whether the lunar mantle contains indigenous (i.e. primordial) noble gases that were supplied to the growing Moon by the delivery of volatile-rich chondritic matter or were inherited from the proto-Earth. Wieler, R., Heber, V.S. (2003) Noble gas isotopes on the Moon. Space Science Reviews 106, 197–210. Bekaert, D.V., Avice, G., Marty, B., Henderson, B., Gudipati, M.S. (2017) Stepwise heating of lunar anorthosites 60025, 60215, 65315 possibly reveals an indigenous noble gas component on the Moon. Geochimica et Cosmochimica Acta 218, 114–131. ). The key caveat is that noble gases of primordial origin can easily be masked by additional noble gas components. All rock and soil samples collected at the Moon’s surface contain 'trapped' surface-correlated noble gases implanted by SW irradiation. Volume-correlated noble gases comprise cosmogenic nuclides (3He, 21Ne, 38Ar) produced by spallation reactions, and radiogenic noble gases (4He, 40Ar) produced by the decay of long-lived radionuclides. Due to the modifications that occur during space exposure, discerning indigenous noble gases in currently available lunar samples is highly challenging. Lakatos, S., Heymann, D., Yaniv, A. (1973) Green spherules from Apollo 15: Inferences about their origin from inert gas measurements. The Moon 7, 132–148. Podosek, F.A., Huneke, J.C. (1973) Argon in Apollo 15 green glass spherules (15426): 40Ar-39Ar age and trapped argon. Earth and Planetary Science Letters 19, 413–421. Delano, J.W. (1979) Apollo 15 green glass: Chemistry and possible origin. Proceedings of the 10th Lunar and Planetary Science Conference, 275–300. Delano, J.W. (1986) Pristine lunar glasses: criteria, data, and implications. Proceedings of the 16th Lunar and Planetary Science Conference, Part 2. Journal of Geophysical Research 91, D201–D213. Spangler, R.R., Warasila, R., Delano, J.W. (1984) 39Ar-40Ar ages for the Apollo 15 green and yellow glasses. Proceedings of the 14th Lunar and Planetary Science Conference, Part 2, Journal of Geophysical Research 89, B487–B497. ), requires the existence of a volatile-rich reservoir in the lunar mantle source. Füri, E., Deloule, E., Gurenko, A., Marty, B. (2014) New evidence for chondritic lunar water from combined D/H and noble gas analyses of single Apollo 17 volcanic glasses. Icarus 229, 109–120. ). Such high precision measurements are key for distinguishing different noble gas components in lunar samples. for five grain size fractions and two large single spherules is indicated for comparison. Wieler, R., Grimberg, A., Heber, V.S. (2007) Consequences of the non-existence of the “SEP” component for noble gas geo-and cosmochemistry. Chemical Geology 244, 382–390. ). Importantly, four glass beads stand out by having the highest noble gas contents and by showing a distinct gas release pattern; i.e. four spherules release large amounts of SW-derived helium, neon, and argon at low temperatures, and a volume-correlated component with high 20Ne/22Ne, 36Ar/38Ar, and 36Ar/22Ne ratios is extracted at the second heating step (Fig. 2). 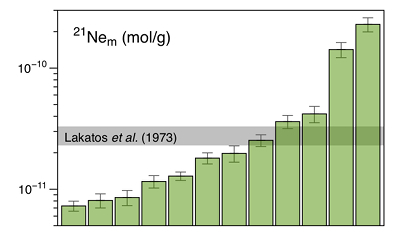 In the three-isotope plot of neon, this end member falls below the mixing line defined by the other glass beads, and points to a 20Ne/22Ne ratio of 11.41 ± 0.04 (for 21Ne/22Ne = 0.03). Megrue, G.H. (1973). Distribution of gases within Apollo 15 samples: implications for the incorporation of gases within solid bodies of the Solar System. Journal of Geophysical Research 78, 4875–4883. Heber, V.S., Wieler, R., Baur, H., Olinger, C., Friedmann, T.A., Burnett, D.S. (2009) Noble gas composition of the solar wind as collected by the Genesis mission. Geochimica et Cosmochimica Acta 73, 7414–7432. Ott, U. (2014) Planetary and pre-solar noble gases in meteorites. Chemie der Erde - Geochemistry 74, 519–544.
) are shown for comparison. Error bars for the results from this study represent 1σ uncertainties and are, in some cases, smaller than symbol sizes. Moreira, M., Kunz, J., Allègre, C. (1998) Rare gas systematics in Popping rock: Isotopic and elemental compositions in the upper mantle. Science 279, 1178-1181. Keays, R.R., Ganapathy, R. (1970) Trace elements and radioactivity in lunar rocks. Implications for meteorites infall, solar-wind flux, and formation conditions of Moon. Science 167, 490–493. 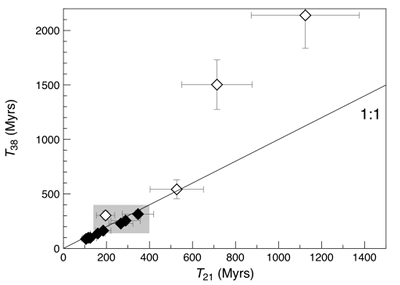 Walker, R.J., Horan, M.F., Shearer, C.K., Papike, J.J. (2004) Low abundances of highly siderophile elements in the lunar mantle: evidence for prolonged late accretion. Earth and Planetary Science Letters 224, 399–413. ). However, it is difficult to envision how high noble gas partial pressures, allowing for the dissolution of inert gases into the erupting melt, could have been maintained during fire-fountain style eruptions in near vacuum at the lunar surface. In addition, rapid quenching of the erupting melt droplets must have prevented ingassing of volatiles released from the regolith. where Rinitial is the initial (solar-like) 20Ne/22Ne ratio, f is the fraction of neon remaining in the glass, and α is the isotope fractionation factor, which can be approximated by for mass dependent fractionation. Since ~90 % of the total amount of neon was extracted from the two gas-richest spherules during the first heating step (i.e. f = 0.1; Table S-2), the cumulative fraction of neon released at low temperature is expected to record an integrated 20Ne/22Ne ratio of 12.05, whereas the residual 'trapped' neon is estimated to yield a 20Ne/22Ne ratio of 11.2; both estimates are in excellent agreement with the values observed here (Fig. 2a and Table S-2). Huneke, J.C., Podosek, F.A., Wasserburg, G.J. (1973) An argon bouillabaisse including ages from the Luna 20 site. Abstracts of the Lunar and Planetary Science Conference 4, 403–404. ). 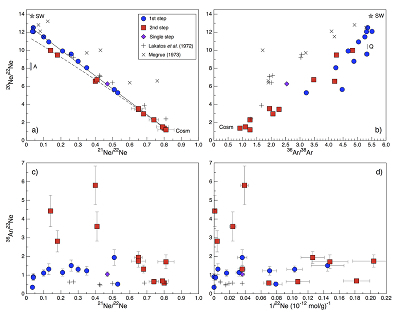 However, three out of the four gas-rich glass beads clearly stand out by having high concentrations of cosmogenic 21Ne and 38Ar, reflecting extremely high exposure ages (T38) between 542 ± 87 and 2139 ± 303 Myr (Fig. 3 and Table 1). This indicates that these spherules were exposed to cosmic, and possibly solar wind, irradiation at the (sub-) surface of the Moon for a much longer duration than the majority of the Apollo 15 green glasses which could have resulted in inward diffusion of SW-derived gases, facilitated by radiation damage. At the same time, diffusive loss of 21Necosm likely occurred, thus severely affecting the T21 exposure ages. These observations demonstrate that, due to intense stirring of the regolith by impact gardening, each individual lunar volcanic glass bead records its own unique irradiation history, which is accessible only through single grain analyses. The four glass beads with the highest He-Ne-Ar abundances (Table S-2) are identified by asterisks. Uncertainties for the 21Necosm and 38Arcosm concentrations are on the order of 10 to 15 %. ). Could indigenous lunar noble gases provide further constraints on the origin of volatiles in the lunar interior, and, thus, on the formation and evolution of the Moon? Noble gas elemental ratios must have been fractionated throughout the volatile accretion process(es) by the Moon and/or upon partial melting and degassing during magmatic eruption; thus they are unlikely to preserve the original source characteristics. Noble gas isotope ratios represent excellent volatile source tracers; nonetheless identifying a chondritic or terrestrial provenance may be highly challenging because secondary contributions from the SW and/or cosmogenic nuclides hamper the identification of the indigenous component. Péron, S., Moreira, M., Putlitz, B., Kurz, M.D. (2017) Solar wind implantation supplied light volatiles during the first stage of Earth accretion. Geochemical Perspective Letters 3, 151–159. ). Therefore, step-heating neon extraction, combined with precise isotope analysis by state-of-the-art static vacuum mass spectrometry, would allow a distinction between a chondritic and a terrestrial provenance of lunar volatiles. Although high-precision (He-)Ne-Ar data can now be obtained for very small (≤25 µg) lunar volcanic glasses, new lunar samples are needed to detect a possible indigenous noble gas component, and to identify unambiguously its provenance. Pristine samples that have never been exposed to space at the lunar surface, i.e. rock samples retrieved by drilling from depths of several metres or fresh crater ejecta, are key for assessing whether the lunar mantle retains indigenous noble gases that were supplied to the growing Moon by the delivery of volatile-rich chondritic matter or were inherited from the proto-Earth. 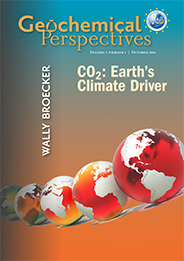 We thank two anonymous reviewers for their constructive comments. This work was supported by the European Research Council (grant no. 715028 to E.F.). This is CRPG-CNRS contribution 2601. Although the source and timing of volatile accretion is still debated (Hauri et al., 2015; Barnes et al., 2016), these findings raise the question of whether the lunar mantle contains indigenous (i.e. primordial) noble gases that were supplied to the growing Moon by the delivery of volatile-rich chondritic matter or were inherited from the proto-Earth. The hydrogen (and nitrogen) isotopic signature of lunar samples is currently best explained by late accretion of volatile-rich chondritic material to the Moon, although the possibility that some volatiles were inherited from the proto-Earth cannot be ruled out (e.g., Füri et al., 2014; Hauri et al., 2015; Barnes et al., 2016). However, indigenous lunar noble gases have never been unambiguously found despite extensive searches over the past five decades (Wieler and Heber, 2003), although recent high precision analyses hint at the presence of indigenous xenon in lunar anorthosites (Bekaert et al., 2017). The green material is the common Apollo 15 very-low-Ti glass that was formed by volcanic fire-fountaining of primitive melts ~3.4 Gyr ago (Table S-1; Podosek and Huneke, 1973; Delano, 1979, 1986; Spangler et al., 1984). Importantly, the presence of water, C, F, S, and Cl in the interior of the glass beads (Saal et al., 2008; Wetzel et al., 2015), together with the condensation and enrichment of volatile elements on the glass surface (Delano, 1979), requires the existence of a volatile-rich reservoir in the lunar mantle source. Since neon isotopes were measured in multi-collection mode on three electron multipliers, the analytical precision on neon isotope ratios has improved by a factor of two compared to our previous study of orange lunar volcanic glasses (Füri et al., 2014). Although an indigenous origin for noble gases in lunar volcanic glasses cannot be ruled out, it appears unlikely that i) lunar magmas escaped degassing, and ii) the lunar mantle contains a larger amount of neon and argon than the terrestrial upper mantle, given the Moon's general volatile element depletion compared to Earth (Hauri et al., 2015). Figure 2 [...] The neon and argon isotope compositions of the cosmogenic endmember (Cosm), modern solar wind (SW; Heber et al., 2009), and the meteoritic components A and Q (Ott, 2014) are shown for comparison. These CRE ages are comparable to the values of 139 to 400 Myr obtained by previous noble gas analyses of 15426 green glasses (Huneke et al., 1973; Lakatos et al., 1973; Megrue, 1973; Spangler et al., 1984). Figure 3 [...]	Data for the four He-Ne-Ar-rich 15426 glass beads (open diamonds) and eight other spherules (filled diamonds) are shown together with the CRE ages determined previously (grey rectangle; Huneke et al., 1973; Lakatos et al., 1973; Megrue, 1973; Spangler et al., 1984). Since lunar regolith contains 1.5 to 2 wt. 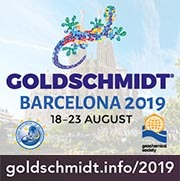 % carbonaceous chondrite-like material (e.g., Keays and Ganapathy, 1970), regolith assimilation should be detectable through analyses of highly siderophile elements (HSEs). Lakatos et al. (1973) proposed that green glass spherules from Apollo sample 15426 contain solar-like noble gases that may be of primordial origin. 15426 is a friable greenish clod that was collected by the Apollo 15 crew from the north rim of Spur Crater on the Apennine front. Figure 1 [...]	The 21Ne concentration range reported by Lakatos et al. (1973) for five grain size fractions and two large single spherules is indicated for comparison. The neon and argon abundances vary by two orders of magnitude (Figs. 1 and 2d), and the concentration range recorded by the small 15426 green glass beads analysed here is significantly greater than that reported by Lakatos et al. (1973) for five grain size fractions and two large single spherules. Figure 2 [...] Step-heating data for single glass beads from this study are shown together with results obtained by single-step heating of different grain size fractions and two large single spherules (Lakatos et al., 1973) and by laser ablation of individual spherules (Megrue, 1973). The lack of correlation between the noble gas abundance and the grain size (i.e. the surface/volume ratio) lead Lakatos et al. (1973) to propose that solar-like neon and argon in Apollo 15 green glasses may represent primordial lunar gas. As an alternative to an indigenous origin, the melt that formed the 15426 green glasses may have assimilated SW-irradiated regolith upon eruption, resulting in dissolution of solar noble gases into the interior of the melt droplets before quenching (Lakatos et al., 1973). Another possibility is that the 15426 melt droplets trapped a gas phase that was released by heating and outgassing of vast quantities of solar wind-impregnated regolith (Lakatos et al., 1973). When equilibrium conditions were established, the solar gases became volume- as opposed to surface-correlated (Lakatos et al., 1973). However, the concentrations of 'trapped' solar neon and argon (Supplementary Information) found in 15426 glasses are several orders of magnitude greater than the Ne-Ar abundances in the 2ΠD43 popping rock, which is the least degassed terrestrial mid-ocean ridge basalt (Moreira et al., 1998). The terrestrial mantle is characterised by 20Ne/22Ne and 36Ar/38Ar ratios of 12.65 and 5.3, respectively (Péron et al., 2017); thus, transfer of noble gases from Earth to the Moon-forming material would have resulted in isotope compositions that are very similar to those of the 'trapped' component in Apollo 15426 green glasses. The recent discovery of indigenous water and other highly volatile elements (C, F, S, Cl; Saal et al., 2008; Sharp et al., 2010; Wetzel et al., 2015) in samples returned by the Apollo missions demonstrates that the formation and evolution of the Moon involved processes that allowed for the accretion and retention of the most volatile elements in the Solar System. Walker et al. (2004) argued that a significant proportion of chondritic HSEs is only present in the "etchate" of the surface of the green glasses, whereas concentrations are low in the residual glass. The solar gas component is isotopically depleted in the light neon isotopes compared to modern SW due to depth-dependent isotope fractionation upon implantation of SW and removal of surface-sited solar gas by ion sputtering (Wieler et al., 2007).